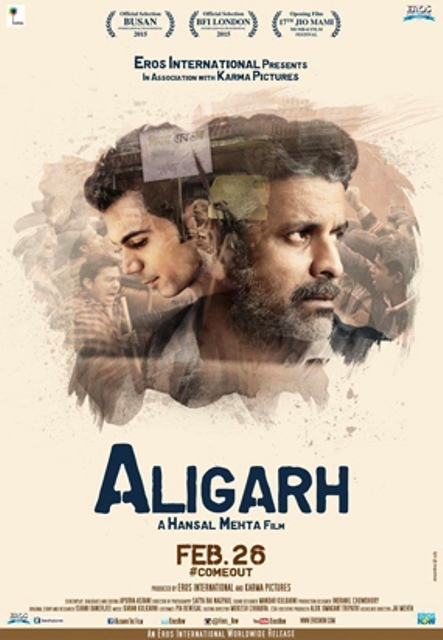 "Aligarh" is a 2015 Hindi movie based on the real life incident of Dr. Shrinivas Ramchandra Siras, who was suspended from his job because of his sexual orientation. Siras was the professor of Marathi at the Aligarh Muslim University. After successfully appealing his suspension, he died in suspicious circumstances. Manoj Bajpai plays the role of Siras, and Rajkummar Rao plays a journalist. Movie presents by from the director of Shahid & Citylights, and the producers of Badlapur & NH10. The film is slated to be released on 26 February 2016.